(reference the books using the Harvard system). The start ups are given below. Clim8 is company that’s uses intelligent technology on next to skin garments. The algorithms monitor how and when to keep the user warm. The company weaves tiny sensors directly into the yarn, the garments engineered will respond and activate to user needs. It also monitors your skin temperature & your activity level. fig 1 Vest Front. Anon, (2017). [image] Available at: http://test.myclim8.com/wp-content/uploads/2016/12/front.png [Accessed 1 Nov. 2017]. I choose this start up to research as I liked the idea on thing filaments within the threads, this led me to consider if filaments born within a weave are suitable for wearable capacitance or resistance to aid body measurement. The garment is also not “user-proof”. The user can calibrate the base temperature too high and therefore the user would be uncomfortable, possibly giving a sensation of burning. The Pros : reasonably fine filaments and on-body wearable power/ electronic hardware. Good for survival wear. The user cannot visibly see and indicator of if the garment is actually heating the body and there is no on garment interface to feed back this data. Also if the module is not fully charged the unit will not produce sufficient heat, this can happen as well if the charged unit in not fully engaged into the on garment base. The daily wear on the threads of the garment is also a reason that the garment may not function as expected, no indicated of garment life is given as an interface to the wearer. Myclim8.com. (2017). clim8 | Intelligent Thermal Clothing. [online] Available at: http://www.myclim8.com [Accessed 29 Oct. 2017]. VivaLnk looks to launch Fever Scout, for monitoring heart rate, sleep quality and stress levels with medical grade conformity. The device offers a continuous temperature monitor for children. Worn under the arm, the rechargeable thermometer sends information to an i-phone or android device. Their product Vital Scout is more for adults and it is a set of designed worn on the chest. It provides information on vital signs including body temperature, respiration rate, and heart rate, sleep quality, and even stress levels, which are measured by monitoring HR variability.. This has serious possibility for medical monitoring of patient care off site (away from prime medical care). They are working on wearable’s with the capability to provide medical grade data and actionable feedback. The area that is interesting me here is, the use of individual sensors, not linked via cables, that each had NFC (Near field communication) that detects and then communicates to other devices in close proximity. It does not need an internet connection to work. 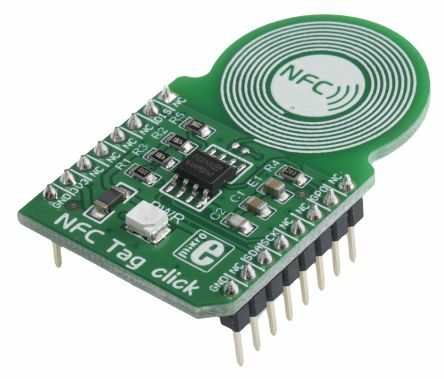 NFC enables minimal outlay and ready development of software apps using contact-less cards and NFC tags and devices. Anon, (2017). [image] Available at: http://media.rs-online.com/t_large/F8624847-01.jpg [Accessed 1 Nov. 2017]. Pros: The nature of the data gathering is of viable medical use, the sensors are peaceable to the relevant areas. The data is medically applicable. Cons: Because it requires NFC, it has compatibility issues and range issues to push it harder, the sensors are not flat. This company promotes it’s AI (artificial Intelligence) services in three main sectors: Insurance, preventative maintenance and medical imagery. Looking at their AI for insurance, particularly motor vehicles AI Tractable’s claim is that their AI checks thousands of repair estimates every minute. “It flags unnecessary repairs, so your experts can review estimates faster and with more accuracy than ever before”. (Tractacble.ai, 2017)Their AI is in fact also an API (Application Programming Interface) that can be integrated into existed insurance claim software applications. This helps gives human assessors a ready quick means of claim checking. A collision repairer uploads an estimate and pictures of the vehicle showing it’s damaged and undamaged areas to a claims management system, the AI Review then compares the pictures (to its’ own picture database) and then estimates judges the cost of repair. The system of AI appealed to my research criteria as is showed how automation can take away some of the nuances of human judgement for what can be life changing monetary decisions. As more data is gathered the AI will grow its’ comparative data sets. This would lead to greater accuracy over an extended time period, with care human monitoring to ensure AI judgements are correct against human rationales. The Cons: It is still early days for AI as regards picture recognition, the variables of the picture integrity and the nature of human photography can lead confusing data for the AI to recognise, thus causing errors. Tractable.ai. (2017). Artificial intelligence for expert visual tasks | Tractable. [online] Available at: https://tractable.ai/ [Accessed 1 Nov. 2017]. This entry was posted in INDE, S1b Startups.